A drug addiction is either physical or psychological in nature. Contrary to popular opinion, not all drug addictions relate to illicit drugs. In fact, far more people become addicted to prescription drugs that were initially taken to combat a physical or mental ailment. Both illegal and prescription drugs are highly addictive and dangerous to health. Examples of addictive illegal drugs include cocaine, cannabis, crack cocaine and heroin. Examples of addictive prescription drugs include oxycodone, benzodiazepines and the so-called ‘z’ drugs such as zopiclone and zolpidem. These prescription drugs are controlled, and it is illegal to consume them without a valid prescription. The reason why people become addicted to drugs varies enormously between individuals. We discuss these reasons throughout this website, and we offer workshops and therapy sessions to help our clients better understand their own unique reasons for abusing illicit or prescription drugs. When someone has a drug addiction, it is considered that the best approach is to seek out drug rehab treatment at a residential facility. This is exactly what we offer at Ocean Recovery Centre in Blackpool, Lancashire, and nationally throughout the United Kingdom through our parent company, Step One Recovery. Undergoing a drug rehab programme allows you to detox under medically controlled conditions. You will also benefit from a robust therapy and counselling service that help you to readjust to life without drugs. Here, you will gain the tool-set needed to remain in recovery for the rest of your life. A report published by the NHS in February 2018 highlights some worrying statistics about drug misuse in England and Wales. See below list of highlights from the report. – In 2016/17 there was 7,545 drug-related hospital admissions of which 74% were male. – 8.5% of adults aged 16-59 took an illicit drug last year. – There was a peak in admissions for 25 34 year olds who made up 33% of the total admissions. – The research shows that Liverpool was the city that reported the highest number of drug misuse admissions with the North West having the highest rate of admissions for males and North East for females. – The number of patients diagnosed with illicit drug poisoning was 14,053 with Blackpool being the most affected. – There were 2,593 drug-related deaths in 2016 which is a 5% increase on 2015 and the highest reported number since records began. – 279,793 people came into contact with drug and alcohol-related services in the year 2016/17 with opiates being the most commonly treated for substance abuse. The word ‘drug addiction’ is a common term. You will have come across the term in films, TV programmes and during your school years. However, the exact definition of drug addiction is often misunderstood. So what exactly is a drug addiction? Essentially, a drug addiction is either psychological or physical and psychological in nature. Generally, you cannot be physically addicted to a drug without being psychologically addicted too, whilst it is possible to be psychologically addicted without being physically addicted. If you become physically addicted to a drug, you will experience physical withdrawal symptoms when you attempt to detox. Examples of physically addicted drugs include alcohol and heroin. 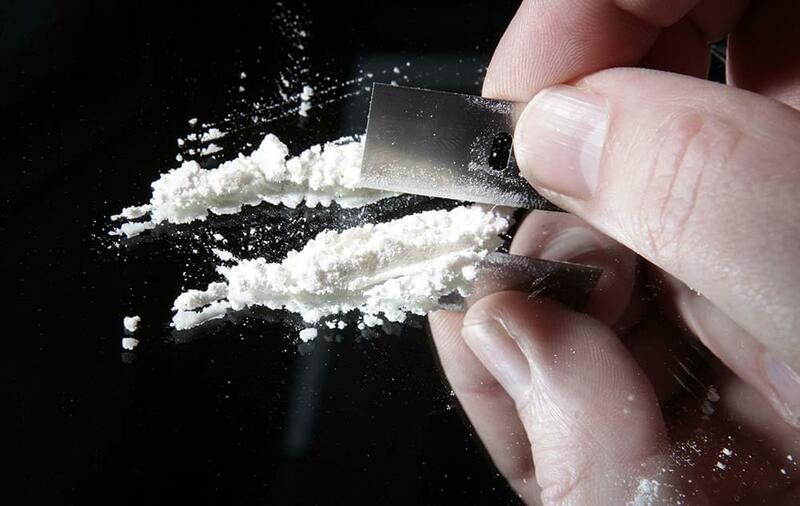 Examples of drugs that are merely psychologically addictive include cocaine and cannabis. At Ocean Recovery Centre, we reject popular opinion by agreeing with the medical community that drug addiction is indeed a disease of the mind. This view of drug addiction permeates everything we do. When you attend Ocean Recovery’s core drug addiction treatment programme, you will benefit from a wide range of therapy techniques that allow you to combat the disease of addiction and thus live a long and happy life. What are the signs that may signify I am suffering from a drug addiction? If you are concerned you or a loved one could be suffering from a drug addiction, you will undoubtedly benefit from knowing the classic signs. The term ‘drug addiction’ is a general term, and the signs of drug addiction vary between different people and different drugs. Here, we shall list some of the signs that are common amongst all drugs. You will thus need to conduct additional research in discovering the signs of the specific drugs you or your loved one is addicted to. What are the reasons for developing an addiction to drugs? The reasons why you may develop an addiction to drugs are many, and modern researchers have failed to pin down one definitive set of causes. Most researchers agree that drug addiction arises due to environmental factors and genetic characteristics, according to the national institute on drug abuse, addiction is a chronic disease similar to type II diabetes, cancer, and cardiovascular disease. You are also more likely to develop an addiction to drugs if you suffer from a physical or sexual traumatic experience during your childhood. But it can also come down to the people you surround yourself with as many drug addicts admit that peer pressure was the reason they first started using drugs. You are also more likely to develop an addiction to drugs if you suffer from a common mental health ailment. This is because people who suffer from mental health ailments are known to ‘self-medicate’ the symptoms of these underlying illnesses with illicit or prescription drugs. Examples of these ailments include anxiety, depression, schizophrenia, Post Traumatic Stress Disorder (PTSD) and an eating disorder. How do I overcome a drug addiction? By far the best way to overcome a drug addiction is to attend an inclient drug treatment clinic where a drug rehab and drug detox programme can be undertaken. Here, you will be detoxed safely off your drug of choice in a controlled manner. You will then benefit from therapies that address the mental aspect of drug addiction. The process of long term recovery from addiction can be a tough one but with the right rehabilitation programme like the one we offer at Ocean Recovery you can start believing that a life without drug use is truly possible. All our treatment program’s come with a free 12 month aftercare plan which ensures that you’re receiving the support needed even after you have left our treatment center. We offer many treatment options for your drug addiction with residential drug rehab and detox programmes at our clinic in Blackpool, Lancashire. For a free telephone assessment, contact us today on 01253 847 553 , or alternatively, submit an enquiry through this website. I have a loved one who suffers from an addiction, what do I do? Convincing a family member or loved one that they have an addiction and need help can be very difficult. This is why we offer intervention programmes which are designed to get family and friends together with their loved one and sit with a member of our team. The hope is that with the help our team member who can provide all the information about addiction and the best way to treat it this will then convince your loved one to admit their wrongs and be more open to a discussion. Find out more about our intervention programme by clicking here. What are the side effects/symptoms that come with a drug detox? Depending on the severity of your substance use disorder we may prescribe you some prescription drugs if the symptoms you’re experiencing during your medical detox start to develop any signs of becoming severe. This is a rare occurrence as the majority of detoxifications are done without any serious withdrawal symptoms occurring.